The Nurse.com Digital Editions are designed to give you the power to reach RNs with content they need - useful information, tools for their practice and nurse thought leadership in a user-friendly format. High levels of RN interest and engagement in our digital edition content ensure your advertisements are seen, and interactive ad enhancements encourage engagement with your brand and overall messaging. 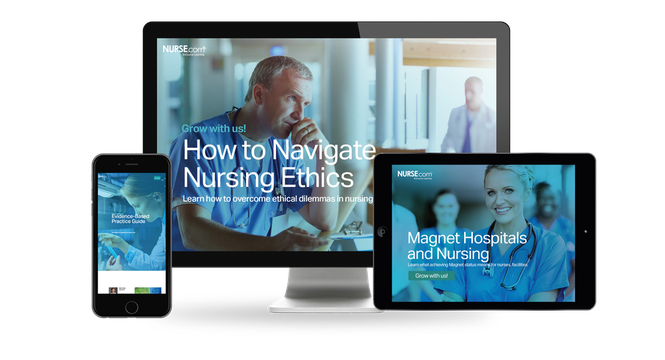 With optimization across all devices, our Nurse.com Digital Editions deliver quality content to nurses when and how they want it.